We are fortunate to work with some amazing youth! We enjoy exhibiting livestock together as a family! 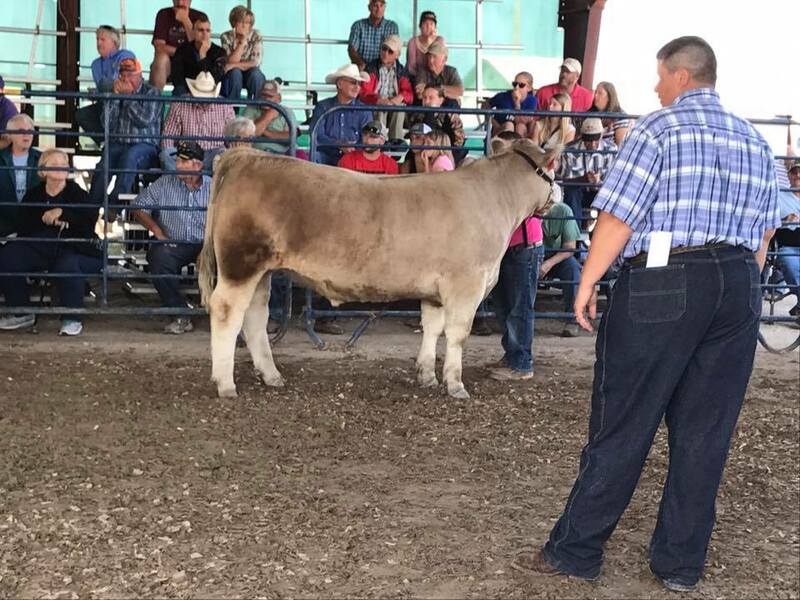 Champion Market Heifer Stanton County Spring Beef Show, Loyalty Day Spring Livestock Show, Santa Fe Trail Classic, and Greeley County Fair. 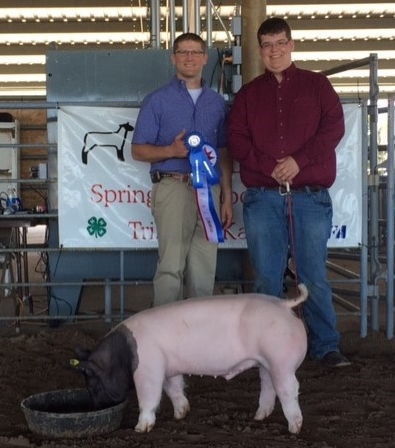 Stood 3rd in Class at the Kansas State Fair! 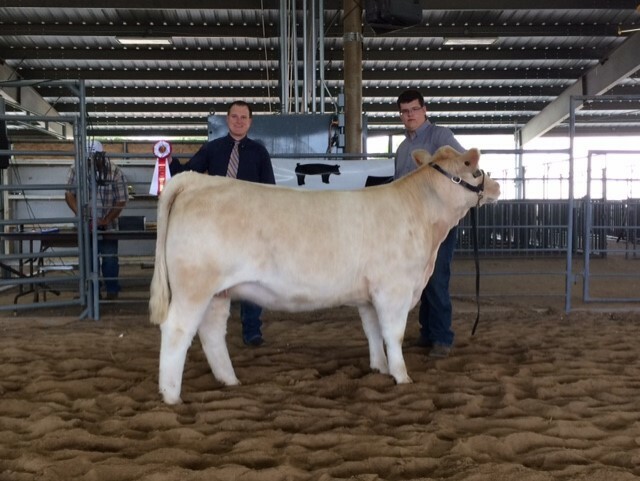 Grand Champion Breeding Heifer at Santa Fe Trail Classic, Loyalty Day Spring Livestock Show, and Greeley County Fair. 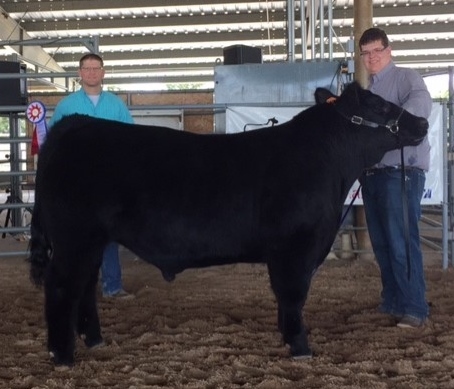 Grand Champion Breeding Heifer & Market Beef at the 2016 Greeley County Fair! 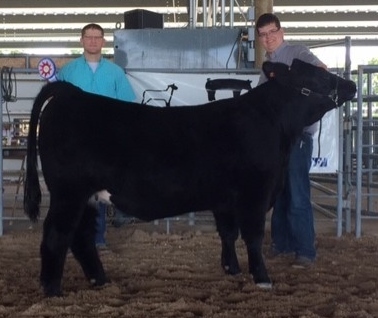 Champion Breeding Heifer at the 2016 Greeley County Fair! 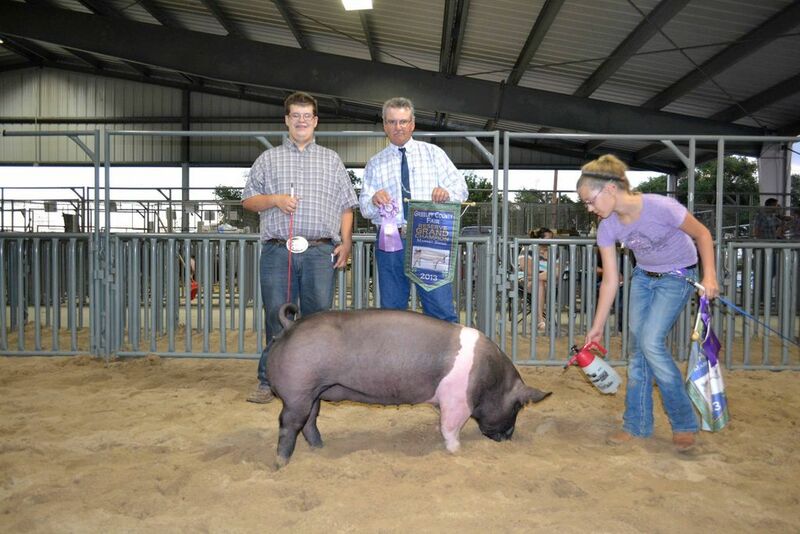 Grand Champion Market Hog and Breeding Gilt at the 2014 Greeley Co. Fair! 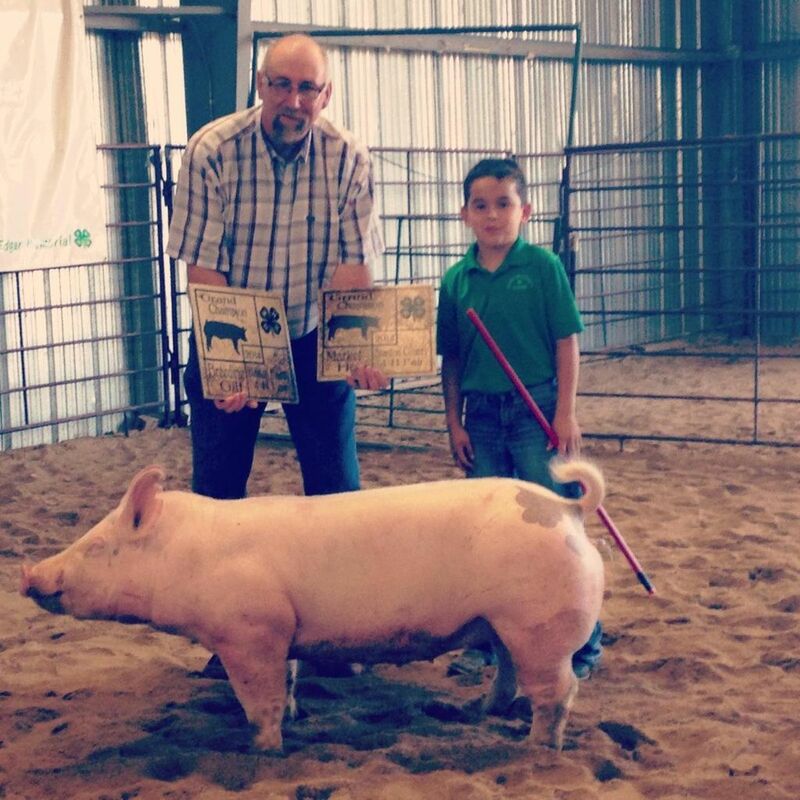 3rd Overall Breeding Gilt at SWKLC. Greeley County Fair - Bred by us (Rooster x Cletus) and sold in our Farm Sale. Crossbred and Reserve Grand Champion Mkt. Hog at SWKLC! Raised by us. 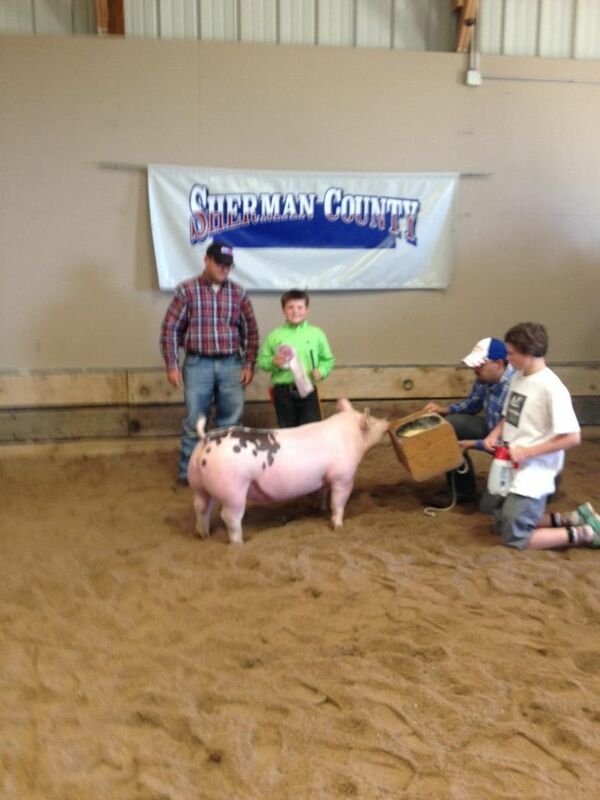 Grand Champion Market Hog at 2013 Greeley County Fair. Raised by us. 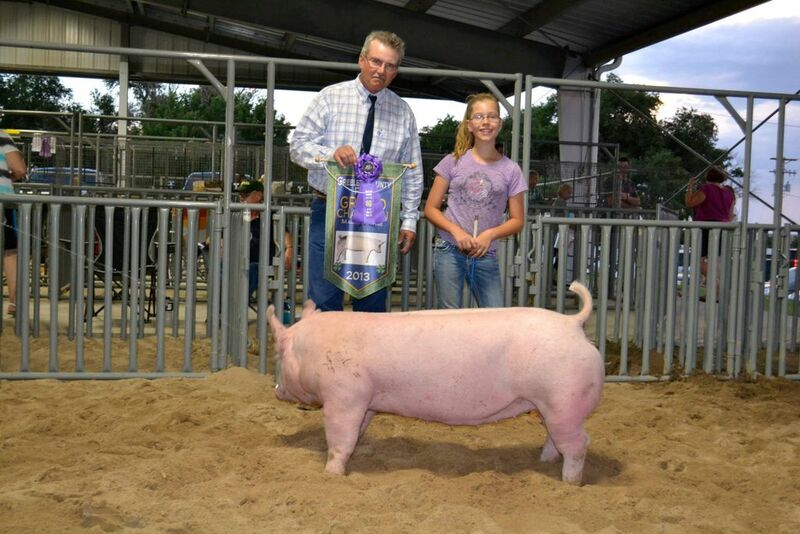 her daughters has won the Greeley County Fair Market Swine Show! Gilt at SWKLC; Champion or Reserve Hampshire several times. 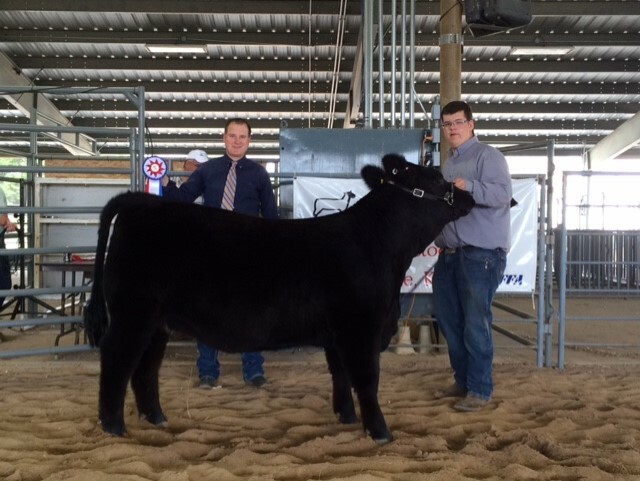 Grand Champion Grant Co. Spring Show; Grand Champion Mkt. Hog SWKLC! 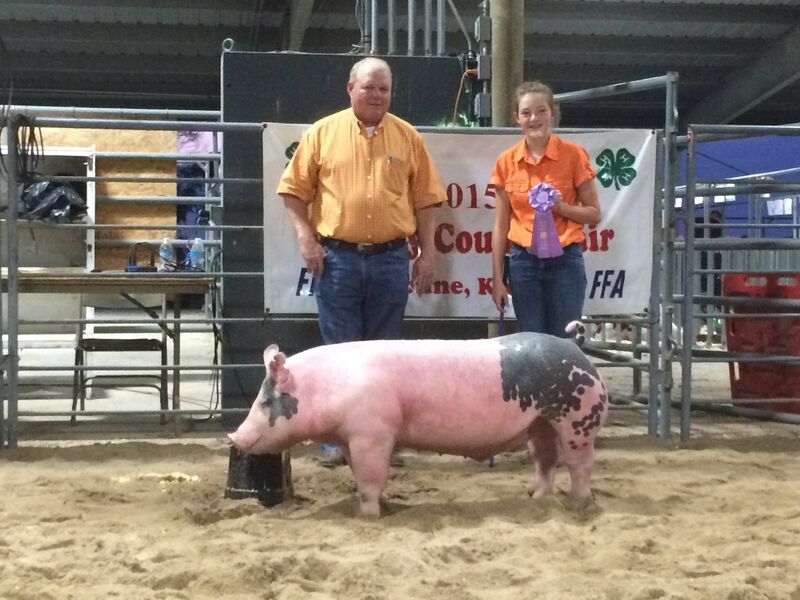 3rd in Class at Kansas State Fair Junior Breeding Gilt Show. Reserve Grand Greeley Co. Fair; Reserve Cross and 5th Overall Mkt. Hog SWKLC! 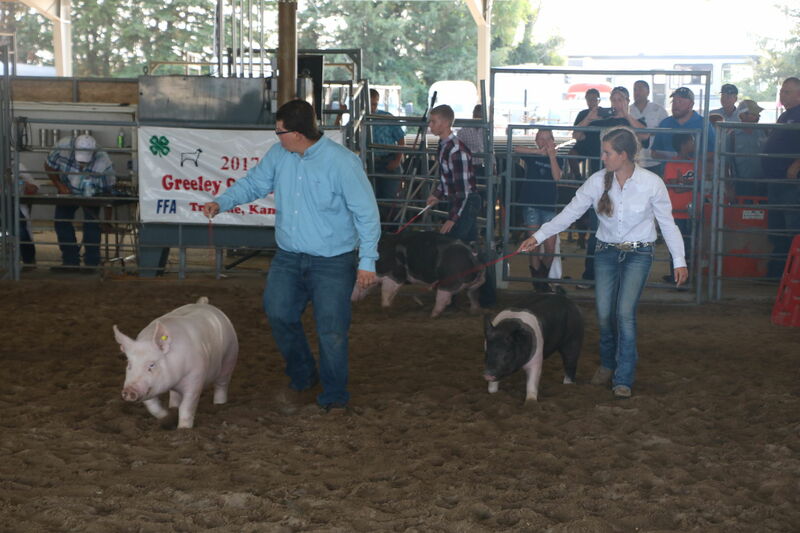 Fair Junior Breeding Gilt Show. Barrow (Cletus x Emily (Doc Holiday x Solid Gold)) Congrats Reagan!!! 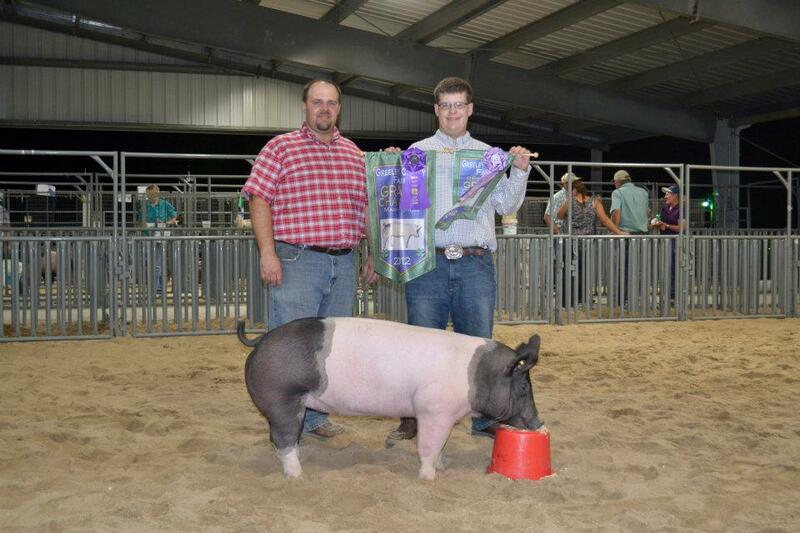 3rd Place Class 5 Crossbred Boar Show at 2010 NSR Fall Classic in Duncan, OK. Thank You to Keith Wilson of Hillcrest Farms in Iowa for your purchase! and 10th in Class at 2010 American Royal. Wyatt with "Charlotte" and Josey with "Tinkerbell" - what a pair...what a year!!! Thanks Nycole Nelson for all of the wonderful pictures this year! fair picture with her. She looked AWESOME!!! One of the best we have ever raised! 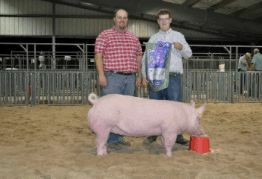 Grand Champion Market Gilt at 2008 Southwest Kansas Livestock Classic! Thank You Nycole Nelson for all of the wonderful pictures this year. Wyatt with "Reba" (Man-O-War x Big-N-Rich) Res. Champion Cross at Greeley County Fair. Many time Class Winner and Breed Champion. Reserve Commercial & 3rd Overall Breeding Gilt 2008 SWKLC. 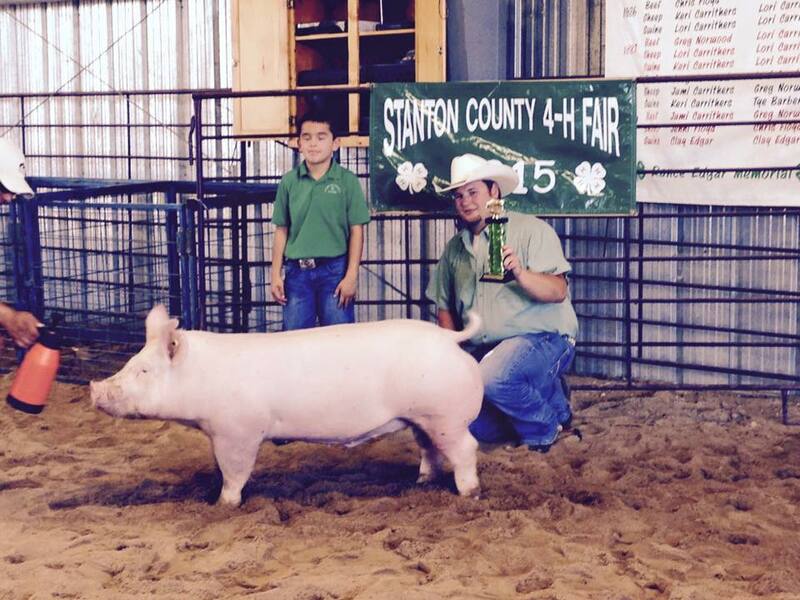 Jayden Rios, Stanton County Fair Champion Yorkshire and 4th Overall Market Hog. 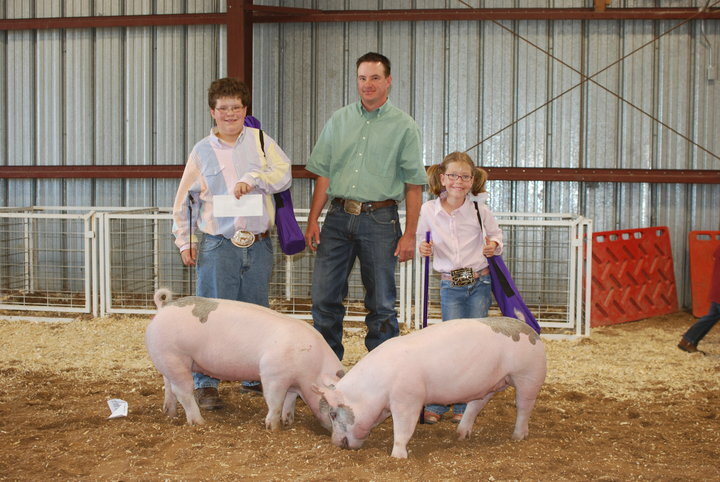 Champion York and Champion Purebred Breeding Gilt at 2008 Loyalty Day Spring Livestock Show. 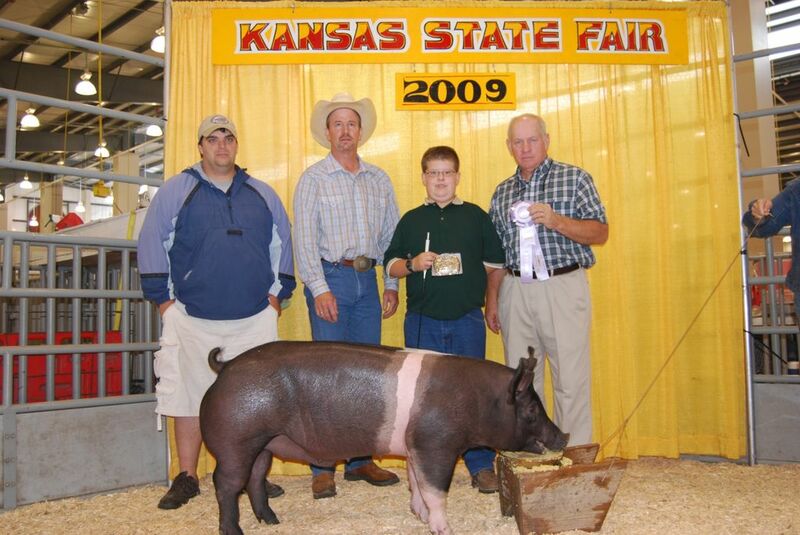 Congratulations Wyatt on the 2007 Kansas Junior Livestock Show Reserve Grand Champion Barrow! 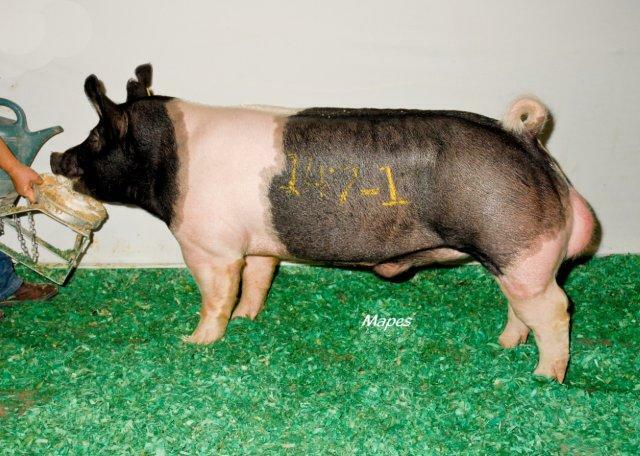 This barrow is a (Fatal Attraction x Kid Rock) that we raised and a littermate to the "Smokin' Good" Hamp Class Winning Gilt that Austin Wilson showed at the Kansas State Fair. It was a wonderful feeling and the fact that Wyatt and I had so many of our friends and family around to share in the enjoyment was even better! A special Thanks to Tonya Swan for taking these great pictures! Congratulations to Jessica Swan with this (Bone Power x Kid Rock) Barrow bred by us. Undefeated in 2007 with Grands Overall at Loyalty Day Spring Livestock Show, Winger Memorial Spring Show, Hamilton County Spring Show, OPSU Aggie Extravaganza, and the Stanton County Fair!!! Thank You Jessica for all that you have done and Congratulations on all of your accomplishments! This barrow got beat at the Southwest Kansas Livestock Classic at 300 lbs (too big for Scott Schaake), but was still named Champion Cross and Reserve Grand Barrow Overall!!! 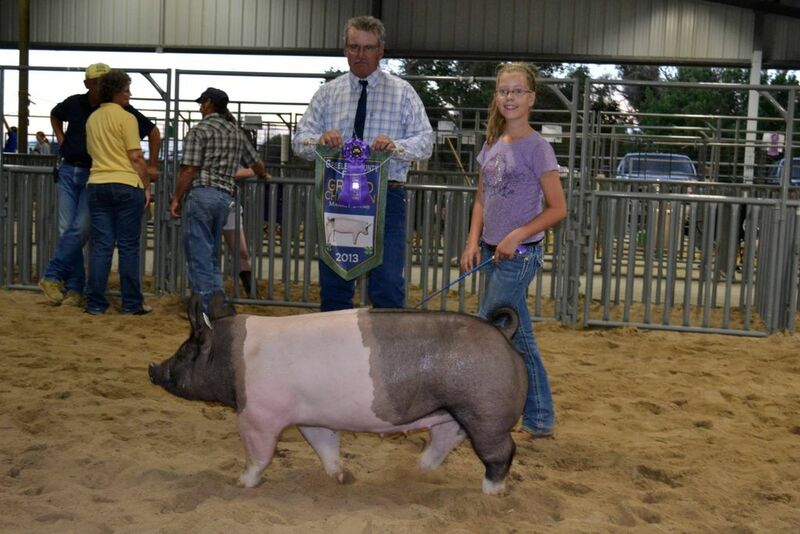 Congratulations to Marissa Dickson on her Reserve Grand Champion Barrow at the 2007 Stanton County Fair! This barrow is a (Out Front 6 -2 x On The Roc) bred by us. 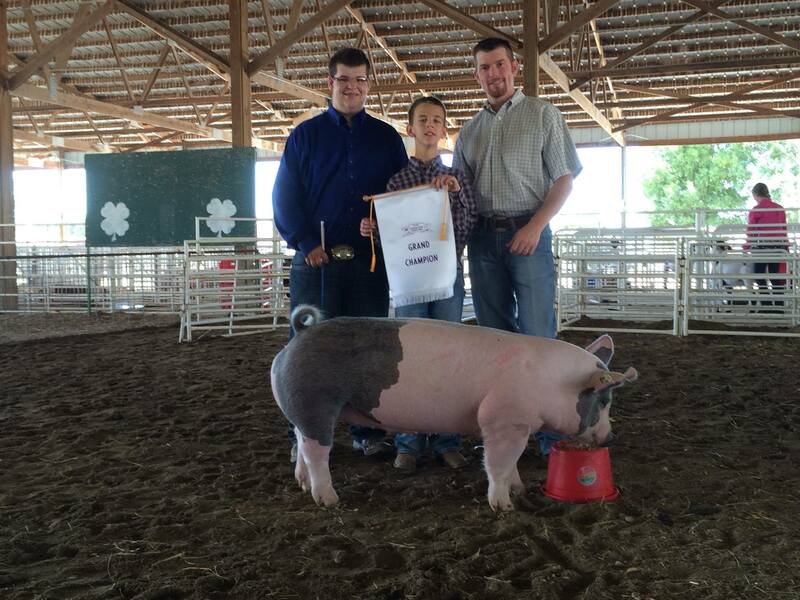 Congratulations Wyatt on his 2007 Greeley County Fair Grand Champion Market Hog. This (Pheonix x Kid Rock) Barrow named "Dudley" was a February 20th that showed August 2nd at 255 lbs. A littermate gilt to "Dudley" was just selected 3rd Overall at a 200 head County Show in Fayetville, AR, judged by Aaron Cobb. 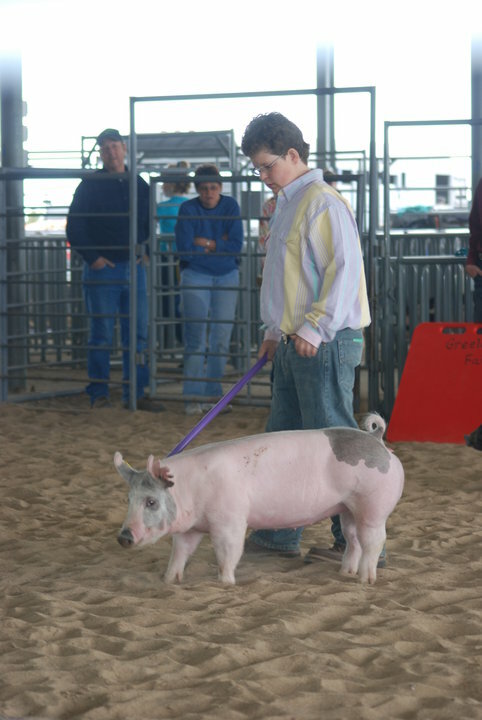 Wyatt also had the Grand Champion Breeding Gilt with a (Powerlook x Sooner Magic) Gilt that we raised. We don't have a picture of him yet...but Wyatt is awful proud of his Hamp Barrow named "Dale" (Alias 12-1 x On The Roc). 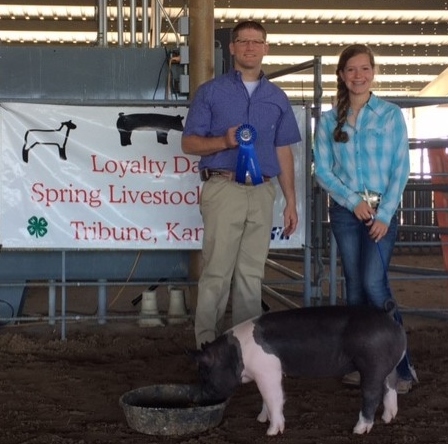 Dale was named Champion Hampshire at Logan County Spring Show,and Champion Hamp Barrow at Loyalty Day Spring Show, Winger Memorial Spring Show, and Hamilton County Spring Show. "Dale" was also a very good showmanship companion for Wyatt. Garth Swan showed this gilt to Reserve Grand Champion honors at our Loyalty Day Spring Livestock Show and Grand Champion honors at the Stanton County Fair in 2005! 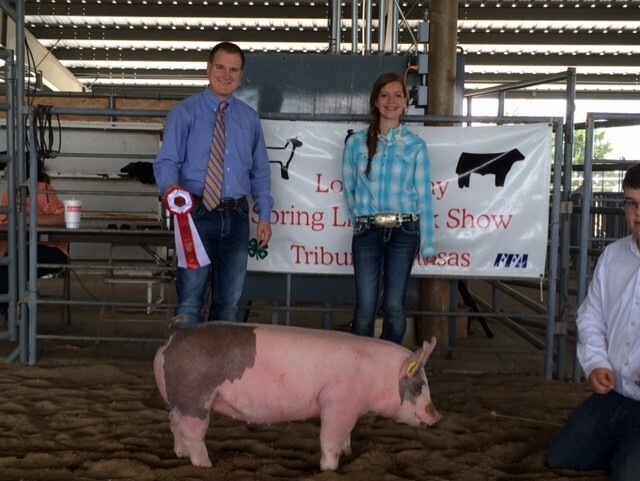 Jessica Swan - many times Champion or Reserve Barrow! Chelsea Zysset - littermate to barrow above - many times Champion or Reserve! Garth Swan - 2nd in Class to the Grand Champion! Jessica Swan (Slam Dunk x Jumpshot) - many time Champion! "Bat" (Slam Dunk x Full Blown) - our 1st home-raised boar - great producer - ahead of his time!! !